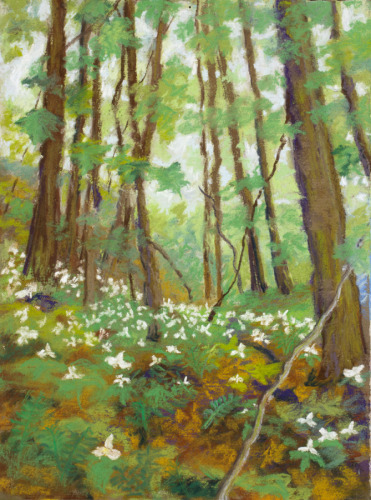 Pastel landscape of an upstate NY forest in May. 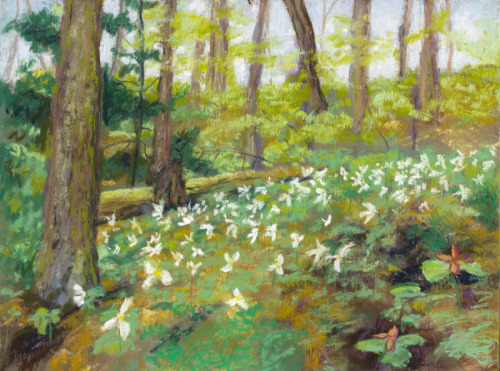 Pastel landscape of the forest in the Mohawk Valley in spring with large wildflowers in bloom. 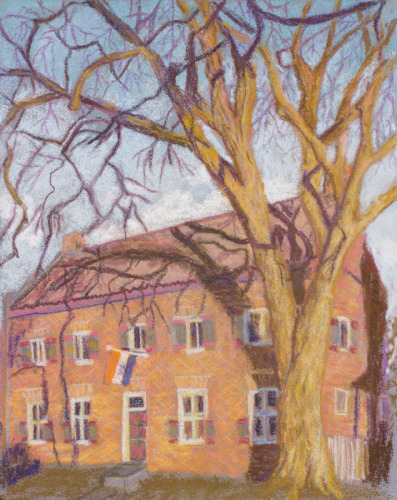 Pastel on panel of the 17th century Dutch house Crailo. 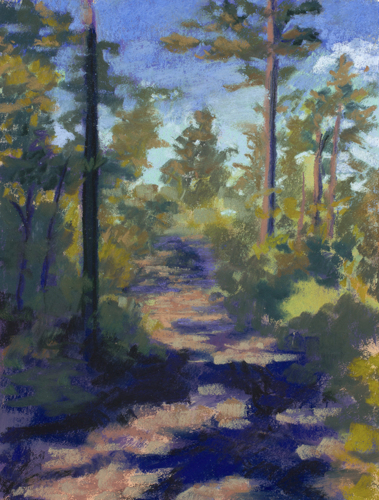 Pastel painting of a trail in a pine barren. 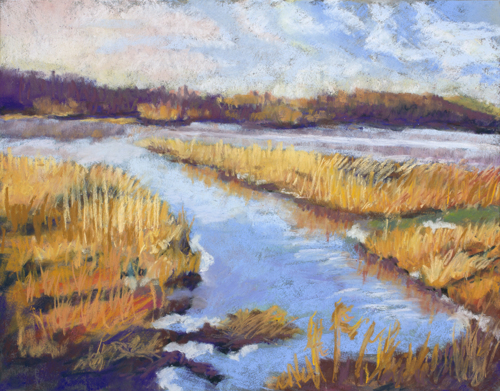 In the 17th and 18 centuries it was the main road between two fur trading towns. 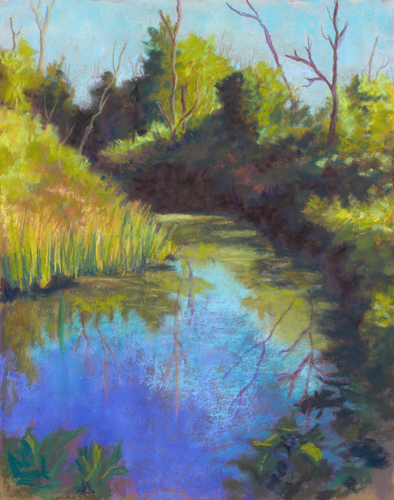 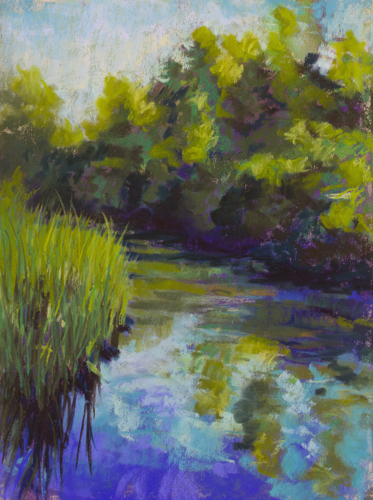 Pastel painting of a creek once inhabited by beavers. 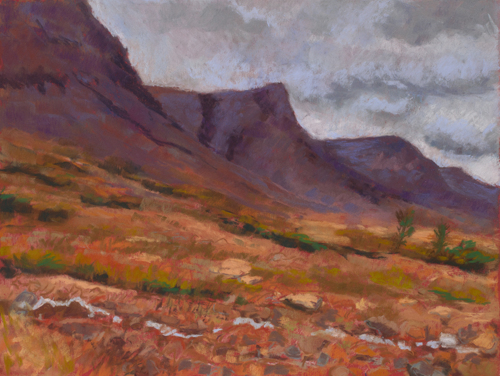 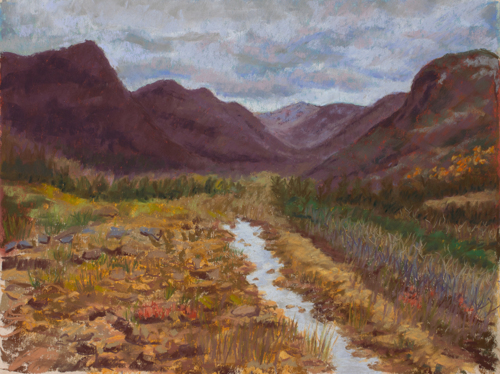 Pastel painting on paper of a UNESCO world heitage site - Gros Morne NP. 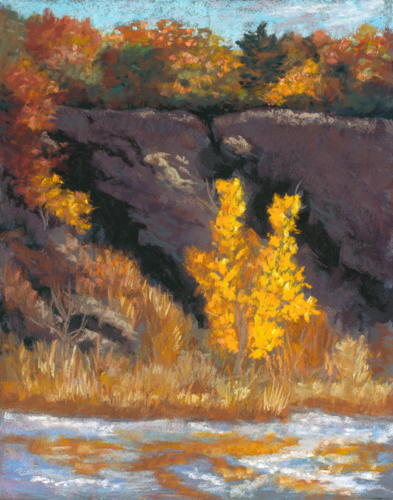 Pastel painting on paper of a geologically unique landscape. 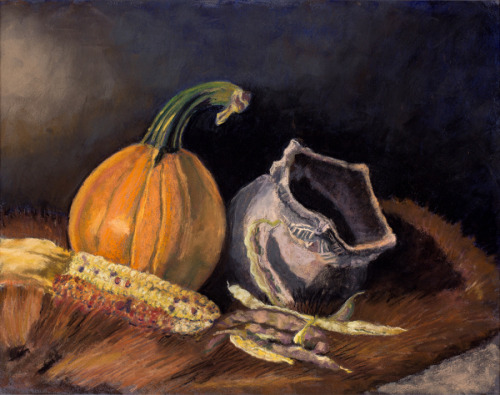 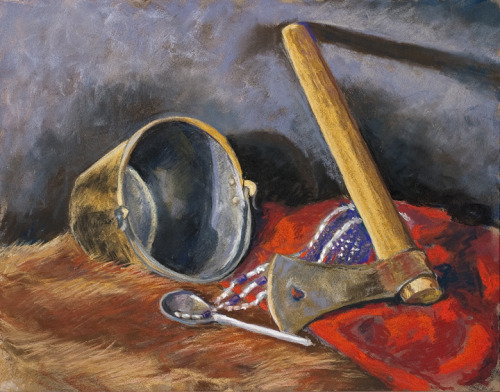 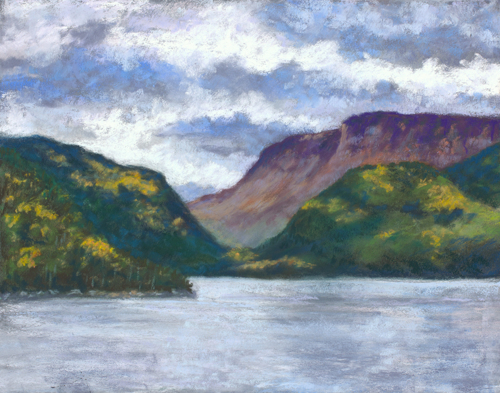 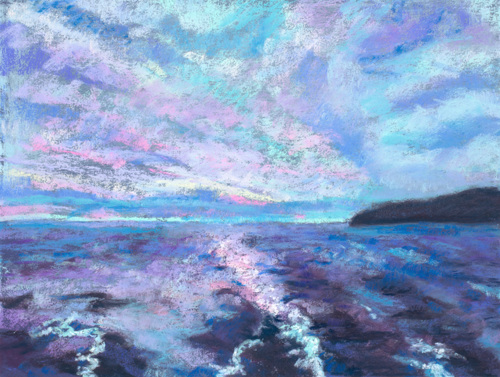 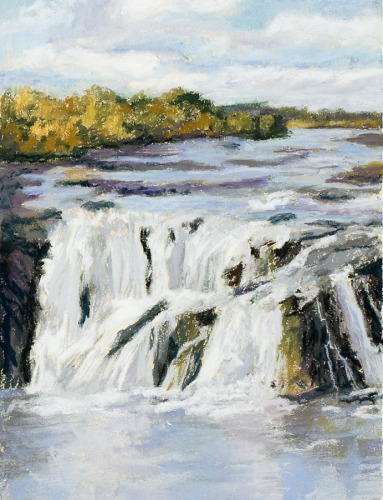 Pastel painting on board of Gros Morne National Park, Newfoundland.